Music legend Quincy Jones has Twitter in a frenzy following a very revealing interview. Being one of the most legendary figures in all of music’s history, when Quincy Jones speaks, especially about music, everyone listens. In a recent sit down with Vulture, the Motown legend gets candid about a number of topics and made some pretty damning revelations including that Michael Jackson used to steal songs and that he used to date Ivanka Trump. Twitter is having a field day about that as if everyone is refreshing their feed to see President Trump’s response. Quincy revealed a lot more stuff including that Richard Pryor and Marlon Brando slept together. Seems he is telling the truth since Pryor’s wife has since confirmed what he said in the interview. Jones said The Beatles is trash, “the worst musicians in the world” to be exact. He also revealed who he thinks might have really assassinated John F. Kennedy. Perhaps the part of his interview that’s gaining the most traction is his statement about Ivanka Trump. “Tommy Hilfiger, who was working with my daughter Kidada, said “Ivanka wants to have dinner with you.” I said, “No problem. She’s a fine mother*****r.” She had the most beautiful legs I ever saw in my life. Wrong father, though,” he said in the interview. Quincy Jones pretty much called Michael Jackson a Machiavellian type in the music industry back in the day. “I hate to get into this publicly, but Michael stole a lot of stuff. He stole a lot of songs. [Donna Summer’s] “State Of Independence” and “Billie Jean.” He was as Machavellian as they come,” he said. 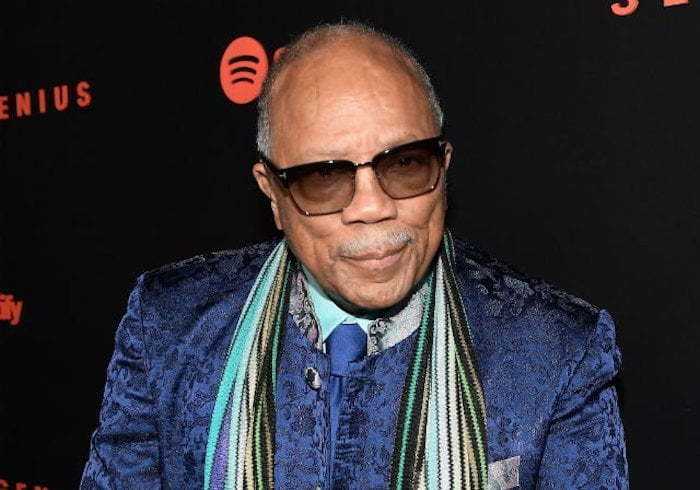 Quincy Jones may even have a lot more to reveal in his upcoming documentary on Netflix due out next week.